At the beginning of the 20th century, prominent religious leaders got together and formed a list of five fundamentals - the items of belief that they thought were non-negotiable elements of Christian faith. These elements include the inspiration of the bible, the virgin birth, Christ’s death as atonement, the bodily resurrection of Christ, and the historical reality of the miracles. And so fundamentalism was born. In many ways, this list of fundamentals echoed earlier creeds and statements of doctrine and belief. And this list suffers from the same problem the creeds did: it has little to do with the bible. Of course, the bible talks about some of these things - but it talks about them as events within a broad scope of real textured human life. And within this scope, these events have a meaning and significance peculiar to their time and setting. When extracted from that setting, they lose their color and their significance, becoming checkmarks on a meaningless list. Any time we take ancient texts and dissect them for our own organizational or political purposes, we lose touch with the texts, with the human beings behind them, and with our own ultimate reality. Not that we shouldn’t find applications and poetic symbolism. But if we want to maintain our connection with the texts, then our own applications and symbolism must remain secondary to those of the original authors and audience. So with fundamentalism. These fundamentals were extracted to serve the needs of a certain political-social group within American history. That very act cuts fundamentalists off from the bible they claim to love, and from the history of people who wrote it. But what if we let the bible speak for itself on what it considers fundamental? If we are to engage with the Christian scriptures, we have to accept that they are a set of letters circling around a singularity of sorts - an event they saw as bringing the story of Israel to a climactic point. They are, above all, struggling with how to process this event, and how to rebuild their lives as a result. That event, of course, was the crucifixion of Jesus. But that event wouldn’t be remarkable in itself, if it weren’t for their conviction that Jesus, in his death, had somehow triumphed over the very forces that were bent on destroying him. They had seen his victory, and were traumatized by it. Like the soldier at the foot of the cross, they were astounded to find themselves yelling that Jesus had won. How could it be that someone who was killed had achieved a victory over his killers? The struggle to answer that question lies at the heart of the New Testament. But it is the admission of the question itself that lies at the heart of Christianity. Pilate never addressed the question, because Pilate never knew that he had been beaten. So we arrive at the one declaration the New Testament considers essential, the one question whose answer determines whether or not one begins to engage the Christian scriptures at all. When looking at the cross, who is the winner? When Jesus took his last breath, who was victorious? Did Pilate and the religious leaders win? Or did a smart-mouthed desert-running peasant trump the forces that have enthralled humanity for all of our existence? The first Christians had made their own judgment, and they expressed it this way: Jesus is Lord. The peasant on the cross had defeated the kings on their thrones. The core dynamic of reality hadn’t been cornered by the warlords and dictators, but by a poetic Jew who refused to compromise his identity. This conviction is the one fundamental of the Christian scriptures. Without it, one is simply not living in the same world they are. With it, everything else becomes relativized; every other fundamental becomes a secondary consideration. They were living in a world of theological minimalism: there was only this one thing, and it made all the difference. There are many things to talk about, many questions to ask and answer. But none of them impinge on this central factor. In the end, the Christian scriptures are much more fundamental than even the most extreme fundamentalist. Instead of five items, the scriptures have just the raw intensity of the one. Good thoughts here! Your post got me wondering if I need to ask myself a question like this more often: "How does the Lordship of Jesus impact my response to ___________?" This is a great post and I have a thousand questions (and a few challenges). But, yeah, this is a great post. A good post Micah, but it is lacking one important item necessary to make a truly informed comment : What exactly do you mean when you say "Jesus is Lord" ? You make the statement "They had seen his victory, and were traumatized by it ", but if you are referring only to the crucifixition , all they really saw at that moment was that an innocent man had died noblely and that even Nature itself seemed to mourn. There is only one thing that proves the validity of the phrase "Jesus is Lord" and that is His Resurrection, for thousands were crucified (including Peter ) but only One was ever resurrected. 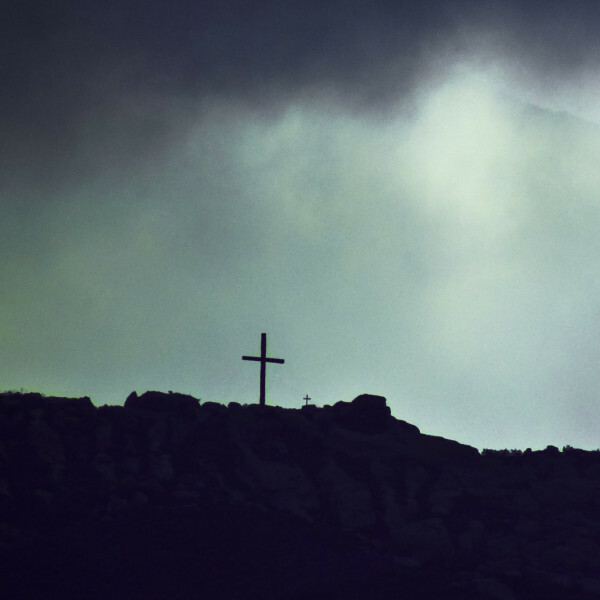 It is the truth of the Resurrection that alone gives meaning to saying in faith "Jesus is Lord", that is the one true fundamental that Christianity rests upon. Otherwise Jesus is not "the Christ", but only another ordinary man God used as a great prophet. Steve, I think Paul rests pretty heavily on the cross itself as the moment of victory. See Colossians 2:15, where he suggests that the cross is the way in which Jesus destroyed the power of the governments of the world. The power of Pilate and Caesar came purely from fear - they could intimidate and destroy anyone with their power to kill. But Jesus refuses to change who he is in the face of death. This is where his power is revealed, in that their only weapons were powerless to move him. Instead of changing him and destroying his identity, they expose *themselves* as the weak and farcical forces they are. This is why the soldier cries out "Surely this man was the son of God!" - because the way in which Jesus dies is not just noble, but rips back the curtain of fear which had been enslaving the world until that very moment.